Microprocessor-controlled digital pump. Advanced pressure sensor technology that reacts to patient movement. Automatically adjusting airflow for optimal performance and comfort. Dual therapy alternating pressure and low air loss. Optional raised edges available to prevent falls from bed. This mattress also offers a “static float” option, which rapidly hyper-inflates the air cells so they perform like rollers. 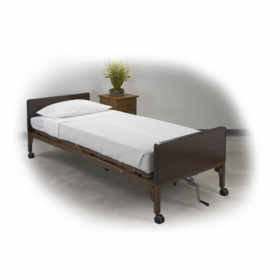 This creates a stable support surface, making it easier to turn and position patients — perfect for transitioning in and out of bed. 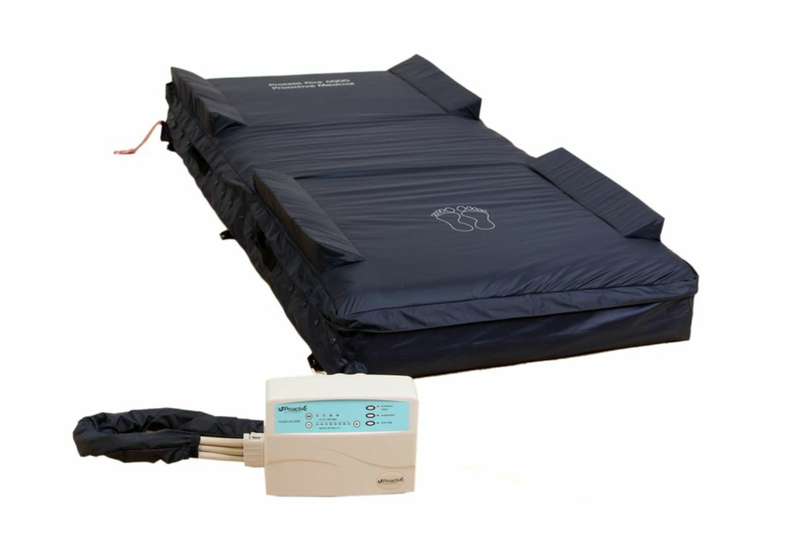 The static float requires less force than traditional draw sheets and pillows, decreasing the nursing time required for turning and repositioning patients. It can reduce risk of injury to caregivers' backs, shoulders and wrists. 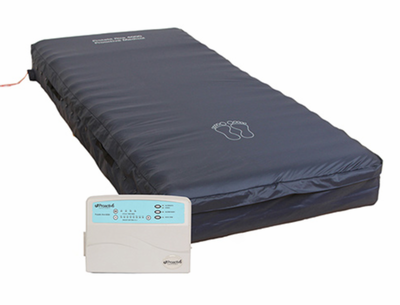 Available in 80" and 84" lengths, this alternating pressure mattress system supports up to 350 lbs. Includes air mattress, pump, and cover. 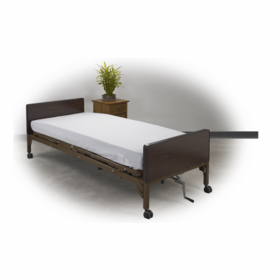 Designed for a twin size box spring or standard medical bed frame.